Please join us on Thursday 15 October for a one hour mix by Toronto artist Bojana Stancic. Members enjoy a drink on the house with good company and a chance to experience Abbas Akhavan’s exhibition after hours. Memberships are valid for 1 full year from date of purchase. Bojana Stancic is an artist and a set designer living and working in Toronto. She is a graduate of University of Toronto’s Theatre and Semiotics programs and has an exhibition history working with numerous theatrical and gallery venues in the city. 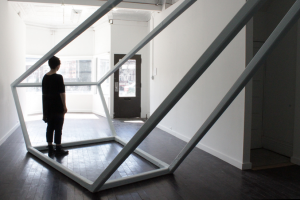 Inspired by transformative use of materials and space, she envisions her work as participating in a conversation between performative sculpture and site-specific installation.